Software provider SunGard Data Systems sold $3 billion in notes on July 27 in a three-part offering that was the largest issue in the high-yield debt market in more than six years. Wayne, Pennsylvania-based SunGard originally intended to issue $1.25 billion of notes as part of the financing for the largest leveraged buyout since the RJR Nabisco takeover in 1989. 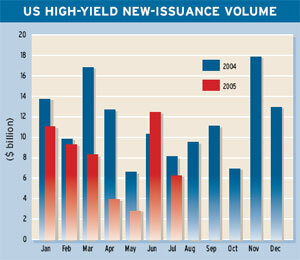 In light of strong demand from yield-hungry investors, however, the intended issue was increased to $2 billion. Hours after the $2 billion of fixed- and floating-rate notes were priced, SunGard returned quickly to the market for another $1 billion of 10-year senior subordinated notes, which were priced to yield 10.25%. 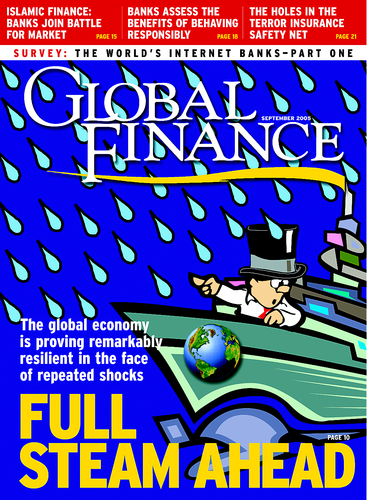 Deutsche Bank, Citigroup, JPMorgan, Goldman Sachs, Morgan Stanley and Banc of America Securities managed the sales. SunGard and seven private-equity groups led by Silver Lake Partners moved up the offerings by a day to take advantage of favorable market conditions. SunGard’s $11.3 billion leveraged buyout, which was agreed to in March, was the largest LBO ever of a technology company. SunGard said shareholders approved the buyout on July 28. US interest rates are expected to rise modestly over the next six months, according to a survey of primary dealers released by the Bond Market Association on July 28. “Although interest rates are still relatively low, we expect rates will rise modestly over the next quarters, as consistent with the current environment of sustained US economic growth,” says Micah S. Green, president of the association. Survey respondents expect the treasury yield curve to continue to flatten but do not forecast long-term rates to surpass short-term rates. “A flat yield curve is consistent with other periods in which the Federal Open Market Committee raised the target federal funds rate,” Green says. “The shape of the yield curve, especially at the long end, reflects subdued inflationary expectations, Federal Reserve credibility in the marketplace and foreign investor demand for US treasury securities,” he says. The shift in China’s currency policy injects a new source of uncertainty into the outlook that, along with restrained global investment and high energy costs, could affect the neutral level of rates, according to Christopher Wiegand, economist at Citigroup Global Markets in New York. The knee-jerk reaction to China’s policy shift on the yuan seems somewhat overdone, he says, but should the dollar start to wobble or market participants become concerned about the future pace of capital inflows to the US, yields in the longer end of the market would rise. “Chances remain good that, unless underlying inflation accelerates or financial conditions prove more resistant to Fed action, tightening is in its final chapter and the funds rate will peak at 4%,” Wiegand says. Meanwhile, the US fiscal balance continues to improve, as rising corporate profits and economic growth lead to higher tax revenues. The ongoing upturn in receipts is pushing the ratio of revenue to gross domestic product toward its long-term norm of about 18%, Wiegand says.